The Gate of Heavenly Peace in Beijing. Carl’s cites three trends leading party leaders to emphasize the Rule of Law at this time. Each of these may lead to the announcement of relatively small scale reforms in the conduct of party affairs, the judicial system and in shoring up the “China Dream” with some non-western ideology and cultural tradition. These observations are well grounded in the signals emanating from Beijing. Carl’s ultimate conclusion, however, is a dark and sweeping prediction. He anticipates that the fourth plenum may result in an “authoritative ideological interpretation of “law” that “might clarify the inapplicability of Western concepts” to China’s circumstances. He concludes that “one could easily imagine the fall Party plenum coming out with a comprehensive statement on “rule of law” that amounts to an authoritative endorsement of a revised authoritarian Party apparatus dressed up in Confucian garb, with some small residual space left for technical legal reforms around the margin.” In other words, the Chinese Communist Party may lay down a definition of “Rule of Law” that states clearly that Western ideas like an independent judiciary, universal human rights and that no one is above the law, have no place in China’s concept of the Rule of Law. Given Carl’s deep understanding of the Chinese political and legal scene, I hesitate to disagree with his final conclusion. Chinese leaders have been touting “Socialist Rule of Law with Chinese Characteristics” for years but they have conveniently omitted a clear definition of what that means or how it might different from “Rule of Law” that is neither socialist nor possessing of Chinese characteristics. While those of us who try to understand China may yearn for clarity, a certain amount of murkiness leaves a great deal of flexibility for policy-makers trying to mollify multiple constituencies and attempting to address challenges as they come along. It would not serve the Party well to eliminate that flexibility or choose sides in an ideological debate about the contours of the Rule of Law. Last year’s third plenum faced a similar question and resolved it by not deciding it. A hotly contested debate raged in China throughout the summer of 2013 over the meaning of “constitutionalism.” The 3rd plenum decision effectively ended the debate by simply re-emphasizing the importance of the “upholding” the constitution without taking ideological sides. It is more likely that the fourth plenum will result in the announcement of concrete reforms that are less sweeping but will be significant within China. For example, might the fourth plenum bring Rule of Law to the anti-corruption campaign? While the anti-corruption campaign has broad popular support, it has created a great deal of uncertainty and anxiety among cadres and officials. Some of that anxiety may be in part because there is very little “Rule of Law” in the way corruption offenses are investigated in China. Investigations begin with detention of the official by the all-powerful “disciplinary and inspection” commission. Suspects are held incommunicado under “shuanggui,” or “double designation,” so named because officials are ordered to appear at a designated time and a designated place. They can be held for months or even years and subjected to repeated interrogation without any right to a lawyer or any right to refuse to answer questions. They have no right to be brought before a court or to contest their detention. In other words, the popular anti-corruption campaign uses a process that is virtually devoid of the Rule of Law. Might the fourth plenum be an occasion to assure party cadres that corruption investigations will henceforth be conducted with some semblance of the Rule of Law? Criminal procedure reform has been making incremental progress in China for decades. Suspects in garden-variety criminal cases have more rights than party cadres suspected of corruption. They have a limited right to counsel; their detention is subject to stricter time limits; and recent reforms have attempted to preclude the use of torture and coercion in police interrogations. Chinese criminal procedure law and practice has a long way to go to meet international standards but it provides more due process and more “Rule of Law” than the Party’s Discipline and Inspection Committee. One possible outcome of the fourth plenum would be to subject corruption investigations to the same procedures as ordinary criminal cases. Xi Jinping would receive kudos for promoting the rule of law without sacrificing much in his quest to investigate and prosecute corrupt officials. As with the abolition of re-education through labor, Xi would earn some credit for a long overdue reform without providing much of an impediment for his other policy goals. I am not going to predict whether we will see this reform, but I think it would be very significant— perhaps even deserving of the term “sweeping”—in its symbolism. Let’s remember the history of the shuanggui process. It has been around for years. It has always amounted to unlawful detention (a crime under Chinese law), since the restriction of personal freedom without statutory grounds is forbidden, and shuanggui has no statutory grounds. Yet the Party, which controls the legislative process and could certainly provide it with such statutory grounds if it wished to, has never done so. After all these years, the failure to legalize shuanggui (while refusing to abandon it) can’t be explained as the product of the press of urgent circumstances or mere absent-mindedness. It is instead virtually a direct statement by the Party that it sees itself as above the law and not accountable to it. Law is a tool of governance; it is not something that constrains the ultimate governors themselves. Thus, the legalization of anti-corruption investigative procedures, whether by legalizing shuanggui or by abandoning it in favor of ordinary criminal investigative procedures, has an extra significance beyond the anti-corruption campaign. It could be a signal of greater acceptance by the Party of external constraints on its own freedom of action. At this writing, I have read the three fine pieces by Carl, Ira, and Don and want merely to add a few supplementary points. We should recall that at the height of his lawless “purge trials” in 1937, Stalin nevertheless solemnly intoned that “We need the stability of the laws more than ever”. Xi seeks to focus attention on the autochthonous Chinese roots of his system rather than on those Soviet influences that quietly rule from the grave. 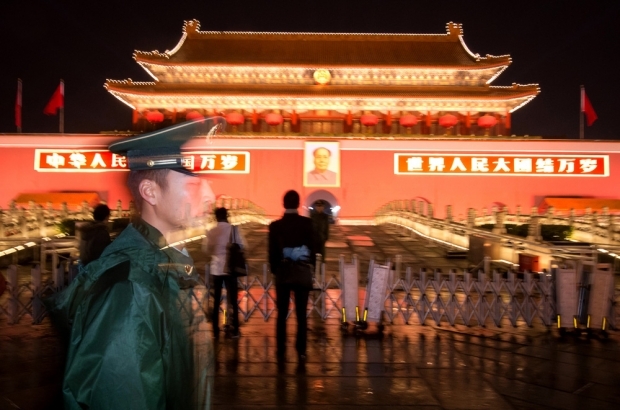 Xi is plainly using law as an instrument of central control. “Judicial independence” is invoked primarily in the sense of attempting to gain greater Beijing control over local court decision-making that alienates increasing numbers of citizens by reflecting the impacts of corruption, local protectionism, “guanxi”, local Party and government interference and other factors rather than national legislation, Supreme Court interpretations and Party Central instructions. The 4th Plenum is an attempt to lift the reputation of the courts and the law and thereby improve regime legitimacy. This may also be presented as the Xi government’s recognition that a “fazhi guojia” (a country ruled by law) does not merely rule according to law as an instrument of power but also, in accordance with its constitutional law, enforces restraints on the powers of government and the Party itself. Xi may even give flesh to this principle by having the Plenum recommend the establishment of a constitutional committee in the NPC Standing Committee that would both review the validity of existing norms, regulations and other government actions and vet draft legislative proposals. This would be the PRC’s first serious effort to implement the Constitution’s strictures. I agree that legislative law reform is likely to continue regarding many aspects of the system and to be increasingly Implemented in non-sensitive cases. But will any of this end the current repression and lawlessness that mark many other cases or simply further distract us from reality? Some Chinese experts suggest that we are witnessing, regarding law and justice, a new application of “one country, two systems”. The developments described by Carl Minzner are moving China from the 1950s squarely into the 1980s. Xi Jinping’s “mass-line” campaign against corruption was reminiscent of campaigns launched against the Communist Party’s organizational ills shortly after it gained power in 1949. Even Xi’s three targets—“formalism, bureaucracy, and hedonism"—echoed the “corruption, waste, and bureaucracy” that were the targets of the “three-anti” campaign of 1951-52. So despite the dramatic economic changes of the last three decades, China’s governing organizations still exhibit chronic pathologies to which no solutions have yet been found. The techniques employed in Xi’s campaign were also similar to those of sixty years ago: study and self-criticism by Party and state officials, and the mobilization of the “masses” to identify officials deemed guilty of the behavior targeted by the campaign. As I argued years ago in Organizing China, this type of “open-door rectification” was the Communist Party’s main strategy for organizational control under Mao Zedong, who believed that it would be the most effective way to correct the country’s governance problems and restore public trust in the Party. But just as the targets and techniques of Xi’s campaign were reminiscent of the past, so were its negative consequences. Visiting Henan to assess the progress of the campaign, Xi warned officials against “piling up conflicts, crude methods and short-termed effects.” He was referring to the temptation for participants to use the campaign to pursue personal grievances, and the tendency to mete out harsh and arbitrary punishment to those accused of improper conduct. He was also acknowledging that the same organizational pathologies would likely pop up again after the campaign was over. Indeed, these characteristic consequences of “mass-line” campaigns, especially severe during the Anti-Rightist Campaign of 1956-57 and the Cultural Revolution of the mid-1960s, had so discredited this method of organizational control that it was somewhat surprising to see it resurrected under Xi Jinping, if only briefly. Now Xi is turning to another strand of the Communist Party’s organizational thinking, used rarely under Mao but more consistently under Deng Xiaoping: managing China’s vast political system through more regular legal and administrative procedures. But the reforms Minzner describes are better described as the “rule by law” than the “rule of law.” Law, in this approach, is more a tool for controlling society than for controlling the government. Rule by law may create a “sphere of indifference,” in which citizens and civil society can operate relatively freely insofar as political authorities choose not to restrict their behavior, but does not create a lasting “sphere of immunity” in which speech or behavior is reliably protected against political control. As Minzner says, this approach may “institutionalize” Chinese leaders’ exercise of authority and may provide more lasting solutions to China’s organizational maladies. Rule by law” represents significant progress from the arbitrary rule and chaotic “rectification” campaigns of the past. The question is whether this approach, first introduced in the late 20th century, is adequate for the 21st, or whether more fundamental reforms, including moving from “rule by law” to the “rule of law,” will become increasingly necessary. The “rule of law” is such an inviting term that it attracts endorsements from leaders of all regimes because its meaning is always subject to interpretations. The assigned theme for the upcoming 4th Plenum is “ruling according to law” (依法治国), which is slightly different from the “rule of law” (法治) semantically. Is “ruling according to law” then simply a fuller transcription of the “rule of law” or does it mean something significantly different? Clearly, a textual analysis of Chinese political discourse would not contribute much to dispelling the ambiguity or confusion that was well addressed in Ira Belkin’s comments. It is perhaps for the same reason that Carl Minzner discerningly looks for clues in “circumstantial evidence” in the featured article of this discussion. Minzner identified three trends that he believes have served as an impetus for the Party to emphasize law at the 4th Plenum. I have two points to add. 1) Why the Zhou Yongkang case will make the law a prominent feature for future anticorruption activities? The investigation against Zhou Yongkang established a precedent not because Zhou Yongkang was a member of the Politburo Standing Committee (PSB). Wang Hongwen and Zhang Chunqiao, both members of the Gang of Four, were also PSB members when they were arrested and later prosecuted and convicted. Zhou’s case is a precedent because Zhou was already retired at the time of the investigation launched against him. Before Zhou’s case, the anticorruption regime provided PSB members with virtually perpetual immunity. While holding office, no one has more superior authority and could have been able to initiate an investigation against them (pre-retirement protection). On leaving their office, the same as other retired officials, they customarily enjoy post-retirement protection. Zhou’s case, however, changed the situation. The precedent will subject any incumbent PSB members to the mercy of their future successors once they retire—a time when they lose both types of protection. The current anticorruption regime, led by the Central Discipline and Inspection Committee (CDIC), operates under a closed and strictly top-down system where the investigation, initiation of complaint and evidentiary examination are exclusively conducted by the CDIC, operating under supervisory instructions from the Politburo and PSB. Such a system is prone to arbitrariness and makes any suspect vulnerable including those who are innocent. Under this circumstance, a more law and rights-protection oriented anticorruption regime is an evidently better device to distinguish between the corrupt and the innocent, which will serve in favor of the incumbent leaders, if they have faith in their innocence. 2) How to understand the juxtaposition of the Party’s leadership and the “rule of law”? The evidence provided in Minzner’s piece and elsewhere indicates that the Party strives to operate on a dual normative system. One is the Party normative system that regulates Party affairs according to Party rules and regulations, which are dictatorial and disciplinary, designed to safeguard the potency of the chain of command and to maintain centralized power in the Party. The other is the state normative system, which is based on state laws and on a Montesquieu-like separation-of-powers, at least in appearance, featuring three branches of the state: legislature, government, and judiciary. Under the state normative system, divisions of functions are observed by these three branches, which helps to increase the legitimacy and credibility of the state authority and also to place a level of checks and balances upon state institutions when they exercise their delegated decision making power while the Party is not on constant watch. The Party normative system regulates the Party-state sphere, where centralization of power and preservation of authoritarianism is dealt with. The regulation follows Party rules which are enforced by Party disciplines. The state normative system regulates the state-society sphere, where most of the economic and social activities take place. The regulation is based on state laws sanctioned by the Party. The two normative systems could be compatible most of the time since the Party sanctions the state laws. On occasions when Party interests diverge from state interests and the Party regulations are at odds with state laws, the Party normative system enjoys superior authority, but operated backstage and bifurcated from the comparatively more transparent decision making process taking place in state institutions. The bifurcation obscures and veils the clash between the authorities of the Party and the state when such clash happens. Compared with the previous monolithic structure of the Party-state, this institutional design makes the normative system of the Party-state more complex yet more pliable to adjustments and more open to different interpretations, including the seemingly oxymoronic juxtaposition of the Party’s leadership and the “rule of law”, as will be predictably enshrined at the 4th Plenum. Beyond questions regarding the ultimate goal, the current state of affairs with respect to legal reforms is also in flux. If waters are murky, as Prof. Belkin suggests, they can provide cover for flexibility. From my outside observer’s standpoint, may we hope that the upcoming plenum results in nothing more than platitudes that the leadership can conveniently trot out on ceremonial occasions and those actors truly interested in legal reforms can bend enough to still create space for modest action. Perhaps the greatest example of the benefits of strategic murkiness is the long-enduring “One China” language of the cross-strait communiques. Indeed, one possible destination in the PRC’s proverbial river crossing is to a system more closely resembling that of its neighbor. Taiwan’s legal reforms did not flourish until the political climate changed. Nevertheless, reforms during the martial law era helped lay a foundation for future reforms even if the procedures used were heavily flawed from a human rights perspective. As Jerry Cohen and I have argued elsewhere, Taiwan’s abolition of its own police-dominated sanctions can provide inspiration as the PRC charts a path beyond re-education through labor. Finally, with respect to Prof. Minzner’s observation that “authorities are searching for ways to regularize [anti-corruption] efforts,” President Xi’s crackdown has shaken conventional wisdom that the top leadership would not turn against its own ranks. But will the current prolonged campaign actually result in systemic reforms? The Chinese leaders could invoke more front-end, prophylactic measures aimed at requiring asset disclosures by government officials and family members combined with criminal penalties for failing to truthfully reveal assets. The current anti-corruption drive has instead heavily focused on creating back-end measures that punish officials who engage in bribery and other illegal dealings once in office. While the Party’s interior rules show signs of moving towards heightened disclosure requirements, the leadership is hesitant, if not overtly hostile, towards greater transparency beyond Party circles. Buttressing Prof. Minzner’s point regarding the Party’s continued commitment to maintaining stability (weiwen), public interest lawyer Xu Zhiyong demanded that listings of officials’ assets be made publicly available. The government responded by arresting Xu on trumped up charges of gathering people to disturb public order and sentencing him to four years in prison. This harsh verdict echoes another enduring Deng maxim, “Stability above all” (稳定压倒一切). I agree that the Fourth Plenum is likely to focus on strengthening the legal system as an instrument to discipline China’s vast bureaucracy. Recent Chinese media reports emphasize the need to shift the focus of the anti-corruption campaign from addressing the symptoms of corruption to addressing the root causes of corruption. To effectuate this shift, we can expect China’s leaders to revisit and expand modestly on the administrative and judicial reform playbook of the 1990s and early 2000s. These reforms re-centralized some legislative and administrative powers, curbed lower-level administrative discretion, and enlisted courts and citizens in the task of monitoring lower-level officials. Reform efforts already underway highlight this general orientation. Over the past year, the National People’s Congress Standing Committee (NPCSC) has released several draft amendments to the 1989 Administrative Litigation Law. The draft amendments expand the scope of judicial review of administrative acts, extend the deadline for filing claims, and enhance sanctions on agencies that refuse to enforce rulings. China’s State Council is leading efforts to eliminate many “examination and approval” requirements. Central authorities view the thicket of examination and approval requirements at all levels as a drag on economic activity and a vehicle for corruption. The current effort advances general policy objectives that also motivated the adoption of the Administrative Licensing Law in 2003. Last month, the NPCSC circulated draft amendments to the Legislation Law. China adopted this law in 2000 after a decade of debate. The law more clearly defined the boundaries of local and central legislative powers, established rules for enforcing China’s hierarchy of legislation and eliminating legislative conflicts, and promoted limited public participation in the legislative process. Proposed amendments strengthen these efforts by carving out new fields of exclusive central legislative authority, further tightening controls on administrative rule making, and providing that draft legislation should be circulated for public comment. Proposed judicial reforms elevate management over local court budgets and judicial appointments to the provincial level and promote judicial professionalism. These reforms would reinforce the proposed legislative changes above. Arguably, courts staffed by more capable judges and better insulated from local government interference would provide a more effective check on China’s bureaucracy. The Fourth Plenum is likely to build modestly on these current efforts. Will it go further? Jerome Cohen has raised the possibility that the Party might call for a constitutional supervision committee. Indeed, language in the Third Plenum resolution emphasizes the need to improve constitutional supervision mechanisms. It is worth noting that such as step is not necessarily inconsistent with a disciplinary model. Other socialist states have established similar institutions to police local legislation. Nonetheless, I am not optimistic that the Fourth Plenum will call for a constitutional supervision committee. I think we would see evidence of such a reform in the draft Legislation Law amendments, and I do not see such evidence. Instead, the amendments make only minor changes to the limited and ineffective process that existing NPC organs follow to review some legislation for conformity with higher-level legislation and the Constitution.